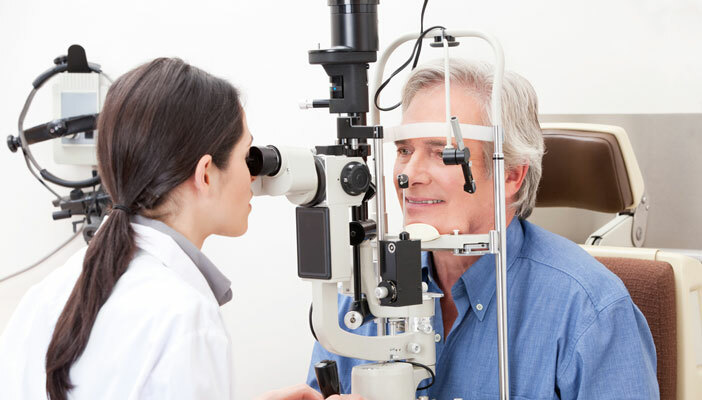 Research published in BMJ Open this month has found that community care for routine monitoring of neovascular age-related macular degeneration can be just as effective as hospital-based care. Wet, or neovascular age-related macular degeneration (nAMD) is a common eye condition that affects over 600,000 in the UK. It’s caused by blood vessels growing in the eye and leads to severe sight loss and blindness. It’s treated using medication that’s injected into the eye. Patients with the condition are monitored to ensure that the problem doesn’t come back. Monitoring is ongoing, almost always in hospital out-patient departments. To ease the growing pressure on hospital eye services, there has been interest in sharing the responsibility for monitoring with optometrists in private practice in the community, such as those in local high-street opticians. Researchers, funded by the National Institute for Health Research (NIHR), have looked at the likely effectiveness of sharing care with optometrists compared to the care provided by eye doctors working in hospital eye services. They have recruitment eye doctors with experience in the age-related macular degeneration service and optometrists not participating the nAMD care. The trial is unusual in that it is based online with eye doctors and optometrists (the participants) making decisions based on vignettes rather than real patients. Overall, the research team, led by Professor Usha Chakravarthy of The Queen’s University of Belfast, found that the decisions made by ophthalmologists and optometrists were consistent and that after training, optometrists based in the community were as good as hospital-based ophthalmologists. The research team note that optometrists tended to be more cautious, being more ready to say that nAMD had returned. This meant that they made more false positive errors but correctly identified more patients in whom nAMD had truly returned. Nevertheless, overall, they classified vignettes as accurately as the eye doctors. Find out more about the trial at BMJ Open.